The part number for this Ready Lift front lift kit is 66-2020 and it fits 1998-2011 Ford Ranger, Explorer 4WD models. It lifts the front of your truck up to 2.25" (the amount of lift is adjustable), giving your truck a level stance and allowing you to safely run up to a 32" wheel. Ford Ranger trucks required a unique torsion key unloading tool and nothing beats ReadyLift�s Professional Grade Torsion Key Removal Tool. 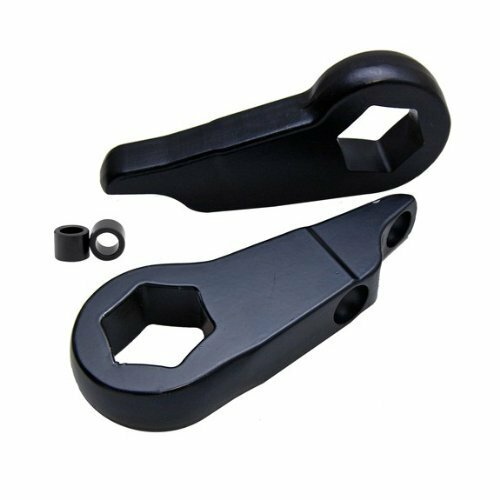 Made from forged hardened steel, this tool makes removing and installing torsion keys safe and easier, allowing for adjustment or replacement of Ford Ranger torsion keys in as little as 15 minutes per truck. The forged and hardened steel used in the construction of this tool is the strongest and safest on the market and is okay for use with air tools. 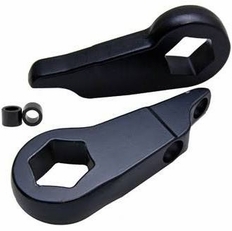 Can be used with other makes and models of trucks with torsion keys. What makes the ReadyLift 66-7816A unique is this kit comes with a crossmember adapter tool which helps position the tool on the difficult Ranger torsion key crossmember. Most tools will slip and become very dangerous during the loading process. Our new Ranger torsion key tool has been rigorously tested and will work safely and easily.